A streamlined IP communications platform designed for the small to midsized business as well as the Enterprise facility with up to 1,000 employees and multiple sites.The KX-NS1000 offers flexibility and scalability as your business grows from 10 to 1,000 extensions and up to16 locations. The One-Look Networking software from Panasonic connects multiple units as a single, fully transparent system with centralized administration and reporting. Panasonic provides a full suite of services designed to help you achieve your business goals. You can count on Panasonic System Solutions to be there every step of the way. From consultation and system design, to installation, delivery and follow-up maintenance service, our goal is to ensure your complete satisfaction. 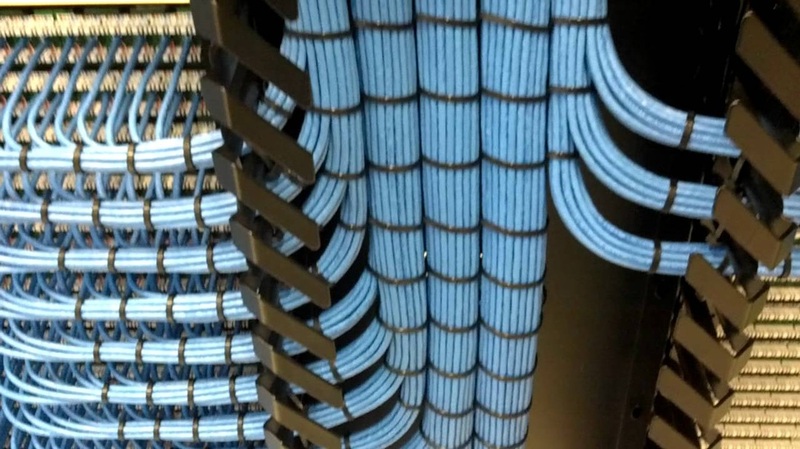 Business Telephone Systems account for most of what we do, but we offer other equipment such as Network Cabling like Cat5, Cat6 and Fiber. Overhead Paging to keep your staff informed, and Sound Masking to help drowned out the noise of doing business. DFW Phone can handle all aspects of the Business Telephone Systems like Call Accounting so you know who called and if you called them back, Call Recording so you know what was said and who said it, Voice and Video Conferencing to keep your employees it touch and on track and Music On Hold so while they wait they will know your still there for them. 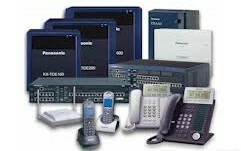 We understand Business Telephone Systems and all the parts and pieces that go with them. If your company is looking for a new Business Telephone System, give us a call. We'll be glad to help! For small to medium sized businesses, our Hosted PBX service shifts the cost of your phone system to your operating budget. There's no need to tie up your capital with on-premise hardware that quickly depreciates and requires maintenance. Through its broad range of integrated business technology solutions, Panasonic empowers professionals to do their best work. Customers in government, healthcare, production, education and a wide variety of commercial enterprises, large and small, depend on integrated solutions from Panasonic to reach their full potential, achieve competitive advantage and improve outcomes. Contact DFW Phone today to learn more about how Panasonic can help your business be successful. Cost savings. The most attractive feature of VoIP is its cost-saving potential. When we move away from public switched telephone networks, long-distance phone calls become inexpensive. Instead of being processed across conventional commercial telecommunications line configurations, voice traffic travels on the Internet or over private data network lines. For the enterprise, VoIP reduces cost for equipment, lines, manpower, and maintenance. All of an organization's voice and data traffic is integrated into one physical network, bypassing the need for separate PBX lines. Significant savings can result from managing only one network and not needing to sustain a legacy telephony system in an increasingly digital and data-centered world. network. For consumers, VoIP reduces the charge of subscription or usage, especially for long distance and international calls. Your obsolete phone system can inflate your telecom bills by 20-50%! Chances are, your voice and data environment has developed gradually. Over time, problems can emerge: performance gaps, redundancies, inefficiencies and unintended information silos take form. It can be very difficult, however, to see what is and isn't working. Without this perspective it’s difficult to know where to invest your limited resources. Call us to conduct a thorough, in-depth review of all of your critical technology areas, evaluate them against best practices and provide you with a road map to better leverage your voice and data as a competitive advantage. 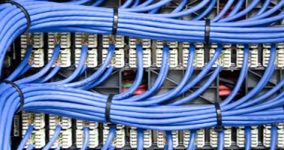 SIP Trunking: What is it? Why do I need it? How do I deploy it? Panasonic SIP telephones provide reliability, state-of-the-art voice quality, easy expandability and professional design. Increase your ROI with optional Hosted Voice Services. When travel and in-person meetings just aren’t possible, bring everyone together with a video conference using Panasonic’s advanced technology. Featuring full HD video and 360° Full Duplex HD Audio, you’re virtually there. Working environments dictate communication requirements. With high performance IP, multi cell, digital and analog phones, Panasonic has engineered a variety of advanced communications solutions that are fully customizable for your business.